New items for their Balanced Choice range are scheduled to launch throughout the year. For Greggs, going vegan with their take on a British classic became a billion-pound move. The bakery chain made headlines after announcing that total sales grew 7.2% to £1.029 billion in 2018 from last year’s recorded £960 million - a first in the company's history. The sales, they say, were partly driven by publicity surrounding the launch of the vegan-friendly sausage roll. Most recently, the meat-free item won a landslide victory in a poll on the brand’s Facebook page asking which version they prefer. The vegan sausage roll garnered over 68,000 votes against its meat counterpart, which only received around 41,000 votes. Greggs initially launched the meat-free sausage roll in 900 stores early this March. However, due to popular demand, the brand announced that new sausage roll will be making its way across all of its over 1,800 stores nationwide. Moreover, the brand announced that it plans to keep both versions of the sausage roll on its menu for the foreseeable future to cater to vegans and non-vegans alike. 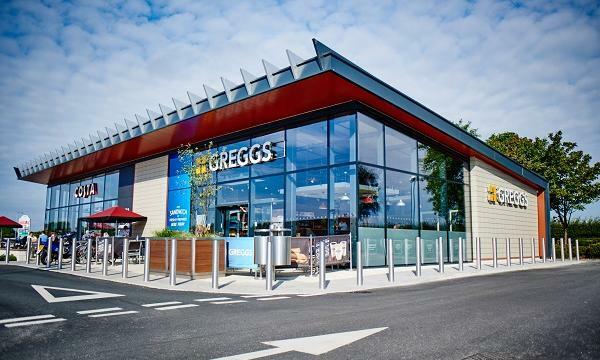 Speaking to QSR Media, a Greggs spokesperson confirmed that there are no new vegan-related launches “at this particular time”, but are "always looking" to add to their menu. To continue its momentum, the bakery chain unveiled its newest limited edition range. The new items are: the Nacho Chili Cheese Bake, consisting of sweet potato, roasted veggies, mixed beans, jalapeńos, and quinoa; spicy chicken and red pepper soup, with Cajun spices; butterscotch doughnut and salted caramel doughnut. Greggs clarified that menu items have not been dropped to make way for these. “We have a number of limited edition menu items which change approximately every two to three months, as such these do not affect our standard menu,” the spokesperson said. The bakery chain also stressed that it will continue to provide more items in their Balanced Choice range.